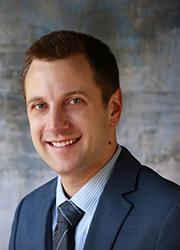 A native of Appleton, WI, Dr. Ryan Schmidt is poised to bring exceptional musculoskeletal radiology training and knowledge to the Fox Cities. His expertise ranges from emergent trauma imaging to advanced imaging of the professional athlete. His skills include a broad variety of interventional and pain management musculoskeletal procedures as well. Dr. Schmidt obtained his bachelor’s degree in Biology and Zoology with distinction at University of Wisconsin-Madison. He earned his medical degree at the University of Wisconsin School of Medicine, Madison, WI and completed his internship at Gunderson Lutheran Medical Foundation. He completed his diagnostic radiology residency as well as musculoskeletal imaging and interventional fellowship at Washington University – Mallinckrodt Institute of Radiology in St. Louis, MO. He is a member of the Alpha Omega Alpha honor society, American College of Radiology, American Roentgen Ray Society and Radiological Society of North America.